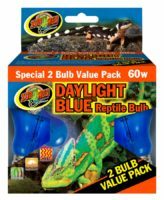 Daylight Blue™ Reptile Bulb | Zoo Med Laboratories, Inc. 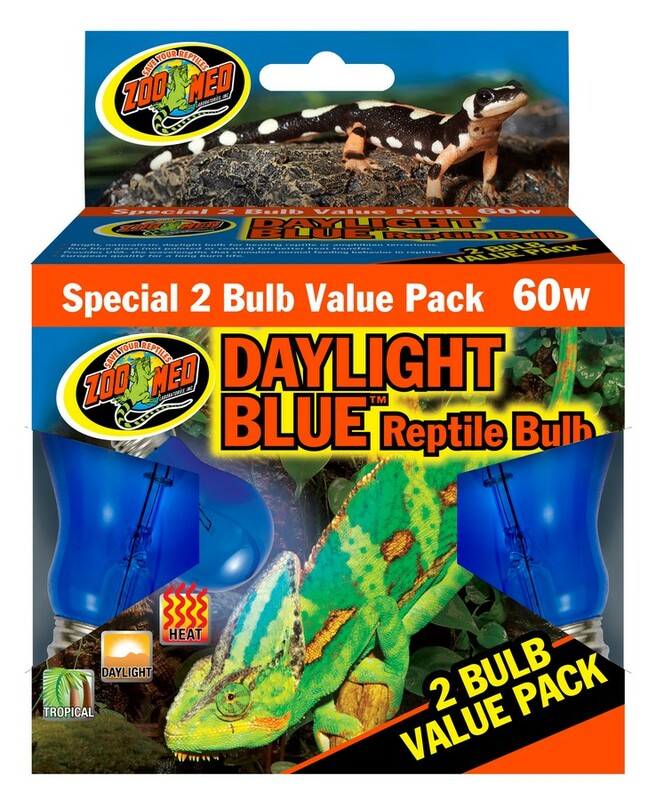 Zoo Med’s Daylight Blue™ Reptile Bulb is made of a true blue glass (not painted or coated) for better heat transfer. Economical daytime heat source provides beneficial UVA rays for the psychological health of reptile and amphibian species. Bright, attractive light output accentuates your animal’s natural colors for maximum viewing pleasure. European quality for long burn life.